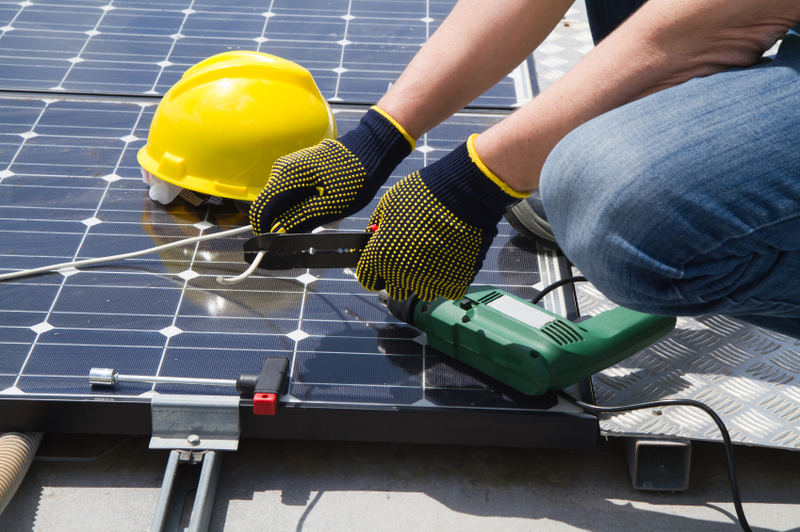 Home » Resources » Rooftop Solar vs. 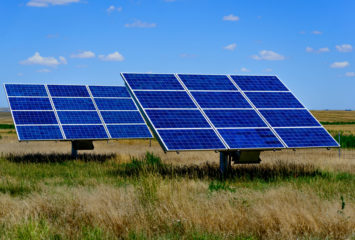 Solar Farms: Which Is Best for You? Rooftop Solar vs. Solar Farms: Which Is Best for You? As solar power becomes more common, individuals are finding more ways to take advantage of this renewable source of energy. Two of the most common ways to utilize solar power are through rooftop solar panels — arrays installed on the roofs of individual homes — or solar panels installed on towers at large solar farms. Each method has its own distinct set of benefits, and a clear understanding of the differences can help you decide which option is best for you. Rooftop solar power is harnessed and generated using photovoltaic panels that are installed on the rooftops of individual homes. In most instances, homes with rooftop solar don’t use all of the energy generated by the panels. In those cases, any excess power that is generated is routed into the utility grid, allowing other nearby utility customers to use it. Homes with solar panels may have two energy meters: one that measures the power used by the home and another that measures the power generated by the rooftop solar panels. Homeowners are charged for their energy consumption and paid for the energy they generate, resulting in a lower net energy expense. What Is a Solar Tower? Solar towers are used on solar farms to help panels maximize the amount of generated power. Solar towers are motorized to move with the sun, which results in a higher electrical output. Additionally, because solar farms are not limited in scale to the size of a rooftop, multiple solar panels can be affixed to one solar tower, adding to the amount of power that can be produced. As with rooftop solar, the power generated from solar panels on a solar farm is channeled into the utility grid to produce electricity for all utility customers. Consumers who have purchased panels on a solar farm get paid for that power their panels produce, which helps offset energy bills while decreasing utility reliance on fossil fuels. Are Rooftop Solar Arrays Better Than Solar Farms? Whether installed on a home or at a solar farm, photovoltaic panels produce sustainable, renewable energy that decreases the owner’s carbon footprint and saves money. With the basic benefits established, the only question that remains is which type of installation makes the most sense for individual consumers. To sort it out, we’ve compared a number of factors that are worth considering. Even though rooftop solar panels are becoming more popular — with some even included in the design of newer homes — most people prefer the look of a home without panels installed on the roof. Those who elect to install their solar panels on a solar farm keep their home’s overall aesthetic unchanged. They still reap the benefits of going solar, but they don’t have to look at panels on their roof every day. The Takeaway: Opt for a solar farm investment if you’re worried about how a rooftop array will affect the look of your home. While solar farms do a lot of good, they can take up a substantial portion of land — usable land that could be kept open for things like agriculture or building development. Rooftop solar arrays, on the other hand, don’t take up any land. Instead, they sit neatly on top of a home, using space that’s already largely unusable. The Takeaway: Rooftop solar is the best choice for those concerned about land allocation. Most solar panels — of both the rooftop and farm variety — require minimal maintenance. However, as with anything that is regularly exposed to the elements, there may be times when equipment will malfunction or become damaged. If the panels are installed on a home, the homeowner needs to contact the panel installation company and arrange a time for the repair. With a solar farm, the panels are easily accessible and the owner isn’t inconvenienced in any way if a repair is needed. The Takeaway: If you’re okay with performing or overseeing occasional maintenance on your panels, rooftop solar will be a fine fit. Otherwise, go for a solar farm setup. 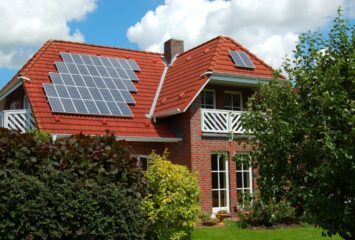 Some users adopt solar because they want to further green efforts, while others do it to gain some degree of independence from the utility company. Users who fall into that latter category will need to go with rooftop solar, as solar farms are often so remote that there’s no feasible way to transmit energy from the panels to the panel owner’s home. The Takeaway: Solar farms don’t further energy independence, so if that’s important to you, rooftop solar should be your top choice. The Brattle Group released a study that determined that large-scale solar farms optimized to transmit electricity directly to the grid are more cost-effective than rooftop solar panels in the long run. While the initial cost of installing solar panels may not differ significantly, the savings come into play over the long-term, in regard to the cost to generate each kilowatt hour (kWh) of energy. According to the study, residential solar costs were roughly double the cost to generate the same amount of energy on a solar farm. The Takeaway: Though initial costs are similar for both setups, solar towers have shown a higher cost efficiency in the long run. If you care about energy independence or simply don’t want to take up additional land to generate clean energy, a rooftop array will be a good fit for your needs. However, if you prefer lower costs, less maintenance, and cleaner home aesthetics, investing in a remote solar tower farm is probably the better choice. Whether you choose rooftop or solar farm installation, there’s no question that adopting solar power is a smart decision that benefits both the environment and the bank account. Use our solar calculator to find out how much you could save by going solar.